It’s often said that the youth are powerful agents of change in society. 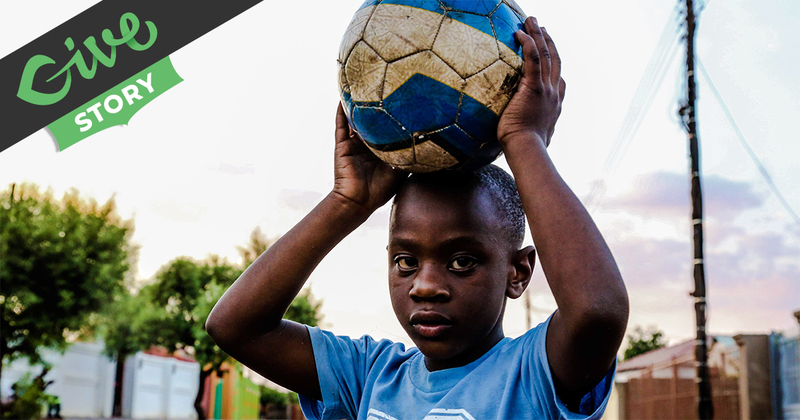 That’s why this youth development program in Diepsloot, South Africa focuses on empowering the next generation by encouraging education and providing constructive recreational activities. In societies where income levels are low, crime rates tend to rise. Desperation and a lack of entertainment are largely to blame for rampant violence and crime within these communities. Another factor is the lack of access to educational programs that encourage kids to like to learn. There’s a big difference between knowing that your education is mandatory and discovering how knowledge can improve the quality of life. In some places, there is no education system at all. When kids love learning and are encouraged to participate in group activities, they are less likely to become involved in criminal activity. This is the story of how The Diepsloot Youth Programme is improving its community with a focus on the youngest generation and community programs for all ages. Diepsloot, located in Johannesburg, Gauteng, South Africa, is a small township where children drop out of school, violence is known to plague the streets, and living standards have remained notoriously low for years. Life in Diepsloot is described in the clip below. The town is home to over 350,000 people. Most of its citizens live in three-meter by two-meter shacks assembled from scrap metal, wood, plastic, and cardboard. However, there are a few limited alternatives including fully and partially government-subsidized housing as well as brick houses built by landowners. The study by the World Bank, among many other African township studies, show that local nonprofit involvement is necessary for change initiatives to work. This is partly because many townships are in remote or rural areas. These remote areas are costly to get to unless you have local citizens involved in the work. The efforts to improve life in Diepsloot are multi-tiered. It starts with creating the drive to enter the workforce and learn a valuable skill from a young age. Educating the adult population on cultural acceptance and moral value is also key. These are the kinds of programs that The Diepsloot Youth Programme provides for the community. 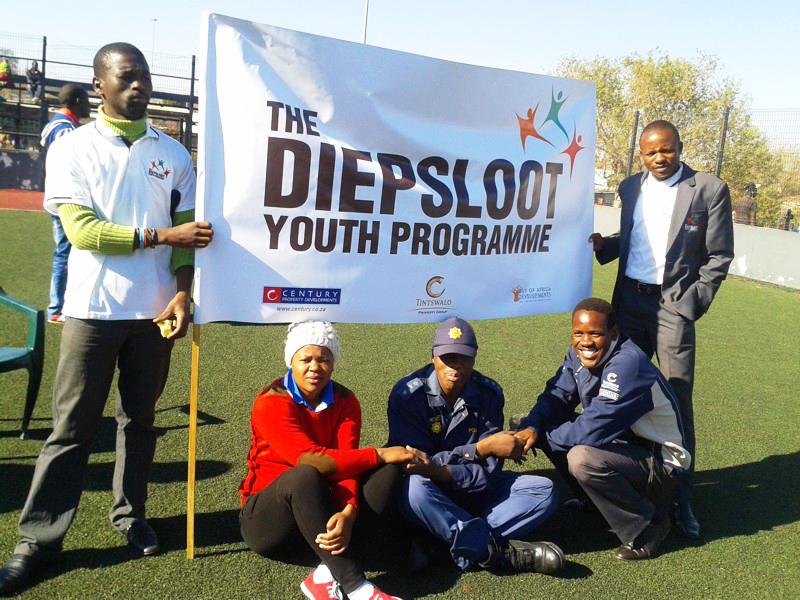 The Diepsloot Youth Programme is a collaborative effort between two organizations in South Africa: The South African Police Service Youth Desk and the Personal Achievement Centre. They started the program to help address the deeply rooted issues in the town. The program consists of six young people with different backgrounds and skills. Each was recruited and trained in drug education, study technology, youth for human rights, and basic moral codes. Now they visit communities and schools to empower youth to develop their skills, embrace education, say no to drugs, and believe in themselves. Drug Education Workshops: Drug workshop facilitators teach high school children about the various types of drugs as well as their negative impact on body and mind. The goal is to eliminate the use of drugs in schools and make them a safer place. Study Technology: This program teaches students the basics of learning using tools that can help them study. The goal is to help kids become excited to learn and do well in school. Homework Club: The Homework Club is comprised of safe places to study where kids can seek mentorship if they need it. There are a few locations throughout the community. Maths Programme: Facilitators of this program were trained in SAS curriculum among other kinds of educational training. It’s meant to improve students’ mathematical skills and love for the subject. 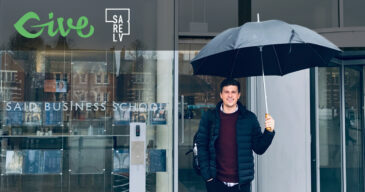 Innoys, an insurance software company and one of the founders of the project, provide additional training at their offices to some of the children in the program. Through this program, teachers who want assistance have also been given access to training, laptops, and other teaching aids. Tree Planting Project: For this project, local schools are each given the supplies to grow a tree. Once the tree is fully grown, the school sells them or exchanges them for what they need. 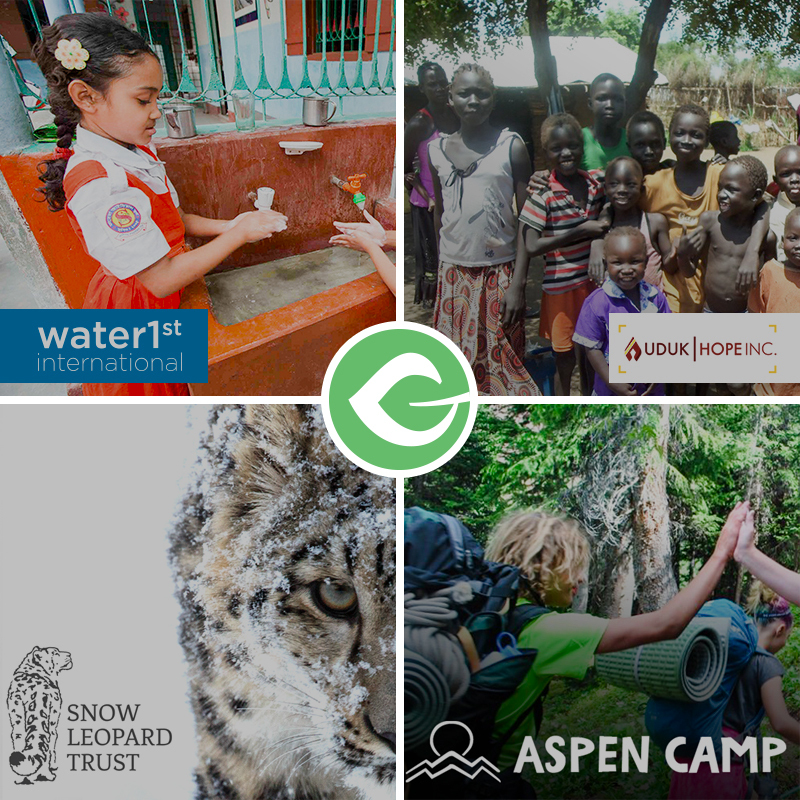 Not every school succeeds in growing their tree, but those who do learn valuable lessons about caring for the environment as well as business and trade. Feeding Scheme: They feed 674 pupils daily at Diepsloot Primary School. Every day, each child gets eggs for breakfast and a warm meal for lunch. This program was started in 2014 and makes a big difference in the lives of the students. A healthy diet helps kids to concentrate better. Moral Choices & How to Make Them: This program is for both children and community members. It teaches the basics of moral code. The goal is to help the overall community become more respectful and tolerant. It also brings attention to the importance of taking care of the environment and taking care of future generations. Mandela Week: Every year during Mandela Week, the team donates more than 65 minutes of their time to a community activity of varying kinds. The past years have included planting trees, taking care of the elderly, and planting a vegetable garden. Carnival: The theme of the carnival is understanding other cultures and countries. It is aimed toward creating more tolerance between cultural groups. Radio Station: Every week on Friday, the team makes an appearance on the Diepsloot radio station to advertise their programs. Prison Project: This project enables children to see first hand the consequences of bad decisions by touring the local prison. The group will also work with the local prisoners this year in to empower them to change their lives. The Diepsloot Youth Development Programme has been around for many years, but they’ve never had an online donation system. The program has mostly been funded by local businesses, governmental agencies, NGOs, and other international assistance. Now that they have an on-site fundraising platform, they hope to increase their ability to affect change in their community. 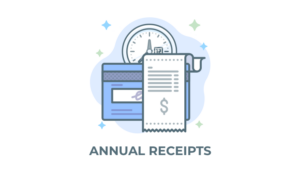 When it came time to choose a solution for collecting online donations, there were a few factors to consider. The Diepsloot Youth Program has so many different focuses, that it wanted donors to be able to choose where their money was spent. They also needed to find something that would work with a payment gateway in their country. In order to allow donors to choose where their donation is allocated, the Youth Programme enabled the donor comments section. Below the form are numbered programs for donors to choose from. The donor can then use the comments to choose where their money goes. We’re happy to see this youth development program grow and excel. They’ve already done great work for years, but now they have more resources to grow with. The ability to accept online donations is crucial to a remote town like Diepsloot. So far their online donation system has been a success. If you want to read more about The Diepsloot Youth Programme or contribute to their cause, visit their website using the button below.